This game could play a huge role in deciding who wins the Premier League title. 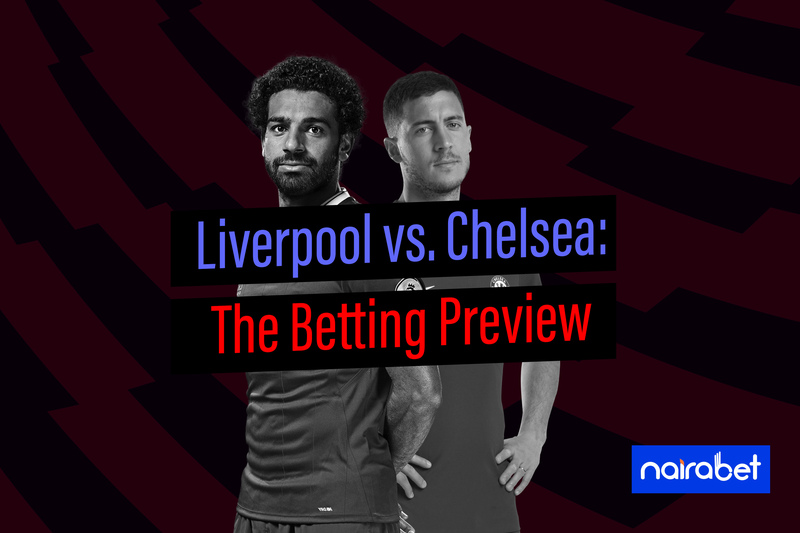 This heavyweight clash between Liverpool and Chelsea could change the course of the PL campaign the season. On a normal day, this clash is one to look out for. All that is at stake for both sides makes this one a super heavyweight clash. For Liverpool, the PL title chase is on. They have every chance of winning their first PL title in history. Over the years, they have come close to winning trophies several times. They look like they’re ready to give Manchester City a run for their money this time. Since losing back-to-back games against Manchester City and Wolves in January, the Reds have not lost a game! Jurgen Klopp’s men have won their last six games in all competitions, scoring at least two goals in each of those games. How many goals can Liverpool score against Chelsea? Anfield has become a fortress for Liverpool. They have remained unbeaten at home this season. Going into this game, that home advantage gives them the edge. However, the Blues know their history so well and will be looking to exploit it. The last time Liverpool was this close to winning the Premier League title, their run was halted by that famous Gerrard slip in a game against Chelsea, a game which Chelsea won. That loss would come back to haunt them, even till today, as Manchester City won the league title. For the Blues, they’ve got a lot riding on this game. They still have a chance of playing Champions League football next season. All they have to do is win the Europa. However, should they want to, they can fight for a top four finish. With Tottenham’s recent mix of form, the third spot is now up for grabs, alongside the fourth position. But there are four teams vying for those two spots: Arsenal, Chelsea, Manchester United, Tottenham. A loss for Chelsea in this game will do more harm than good for their top four chances. Eight of the last 10 meetings between both sides has ended with both teams scoring. Can Chelsea find the back of the net at Anfield when Liverpool score? No doubt, this game is a big deal for all involved. For the likes of Mohamed Salah and Sadio Mane, it’s yet another chance to move even further up the top scorer rankings. Eden Hazard’s future is still very much unsure. However, he is still in the business of churning out exceptional performances. Knowing his importance, Jurgen Klopp has talked about how the best way to try to make sure he doesn’t shine is to avoid passes to him. Which of these teams do you think want more desperately to win this game? Which of these sides is favorite to win the game? Leave us your comments and share your thoughts with us.